Read the full history and background of the eshu, the wanderers amongst the changeling. 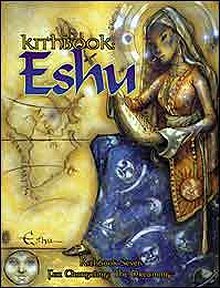 Publisher's blurb: "Born from the dreams of wanderers and storytellers, eshu follow their own enigmatic traditions, keeping alive the spirit of adventure and the desire for freedom. Though counted as commoners, these embodiments of the dreams of Africa, India and the Middle East claim a lineage as royal as the noblest of the fae. Yet all too often, they have reputations as irresponsible roamers, tricksters and thieves. What secrets do the eshu conceal? What drives them to a life of constant wandering?"